Lead the positive change from discard to reuse with Keep Cup, an easy to use, clever alternative to disposable coffee cups. You'll be amazed at how sporting your Keep Cup can trigger others to adopt habits of reuse. Made from tempered glass with a silicone band that insulates your hand from heat. Perfect for the coffee purist or lovers of fine tea to enjoy the cafe experience 'to go'. Keep Cups are barista standard because they replicate standard takeaway sizes and fit under the group heads of most espresso machines. For espresso based coffee, the crema remains intact and the portioning of milk to coffee will be correct. 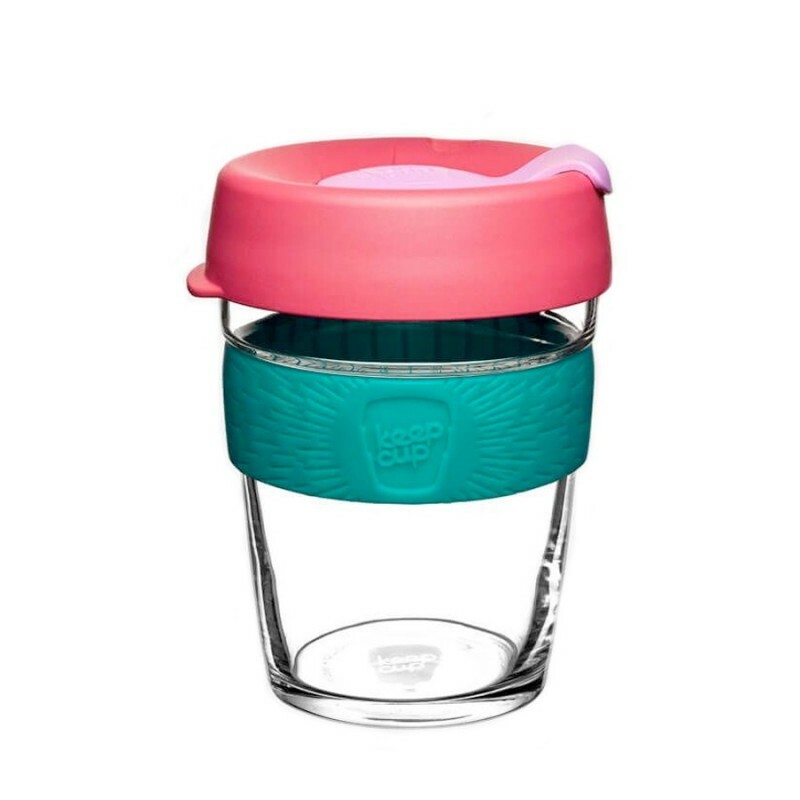 Brew edition cafe series glass coffee cup with a silicone band. Silicone band keeps your fingers safe from the heat.